Mexico’s second most powerful politician continues to claim that the security conditions are the best in a decade. Meanwhile, the cities just south of the Texas border continue to live in a state of fear as warring cartel factions continue to have daily shootouts using armored vehicles, explosives and automatic weapons. The outrageous claim was made by Secretary of the Interior Miguel Angel Osorio Chong earlier this week in a packed auditorium in the Mexican state of Yucatan as he talked about the top capos that the government has captured during his presentation of the security strategy for the southeastern region of Mexico, Mexico’s Proceso reported. 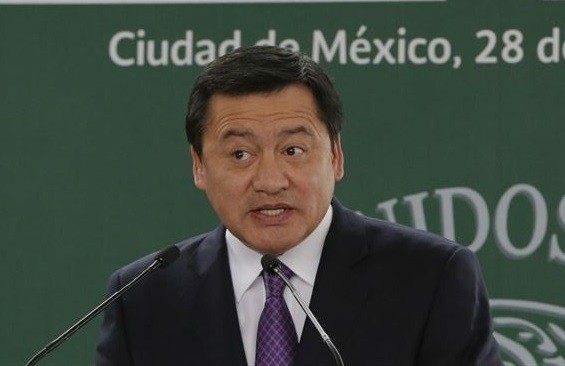 The outlandish claim comes just one day after Osorio Chong travelled to the border city of Matamoros and admitted that the border region presented a challenge. In addition to the raging gun battles, as previously reported by Breitbart Texas, in 2014 the FBI investigated 199 kidnappings of American citizens in Mexico with a large majority of those taking place in Tamaulipas. Breitbart Texas also reported that two factions of the Gulf Cartel went to war at the beginning of the month turning the border cities of Tamaulipas into a war-zone. The fighting has not only been between cartel members as well as with the military, but civilians have also been victimized by the power struggle. So far a local TV station has been the scene of a grenade attack, two U.S. Army vets have been kidnapped and editor of a local newspaper has been kidnapped and beaten, Breitbart Texas reported.